Made in a partnership with Porto’s own Semogue brush manufacturers. The brush looks as good as it feels, thanks to a painstakingly crafted wooden handle emblazoned with the company’s logo. 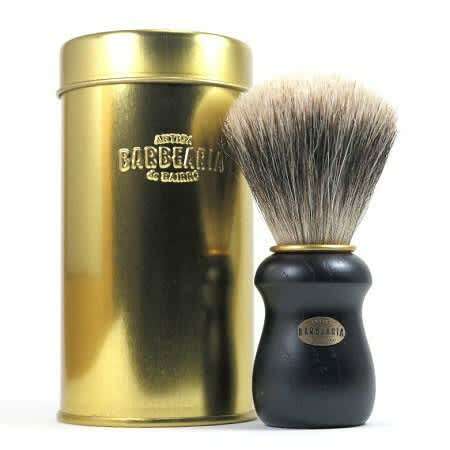 A gold ring keeps each pure badger hair in place, for a reliable shaving experience. Comes in a nice golden box, ideal for gift.